This, coupled with the prediction that rains during the monsoon season would be well distributed throughout the country, raised hopes of high production during the Kharif season, which could lift overall economic growth. The IMD’s prediction comes days after private weather forecaster Skymet projected less than normal rains this season. In its long range forecast for this year’s southwest monsoon rainfall, the IMD predicted a 39 per cent probability of the rains to be 96 per cent of the long period average (LPA). Rains between 96 and 104 per cent of the LPA are considered normal. However, there are 32 per cent chances of the rains falling below normal. There is a 17 per cent probability of the monsoon to be deficient or less than 90 per cent of the LPA. 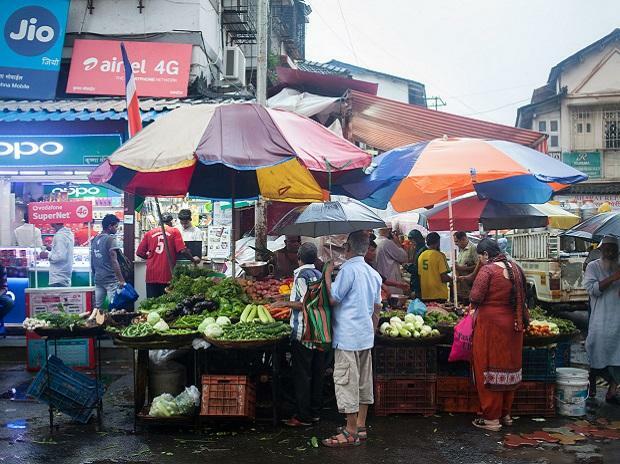 There is a very less probability of the monsoon being above normal (10 per cent) or excess in the range of more than 110 of the LPA (2 per cent), the IMD said. LPA is the average rainfall received by the country as a whole during the monsoon for a 50-year period. The current LPA is 89 cm, based on the average rainfall. When asked why the IMD called the rains ‘near normal’, Director General K J Ramesh said this was because the rains were expected to be in the lower range of normal. The prediction might keep the inflation rate benign at a time when food inflation is witnessing pressure, particularly on the wholesale prices front. Food inflation in wholesale price index (WPI) terms rose to 5.07 per cent in March, from 4.84 per cent in the previous month. Also, the consumer price index (CPI)-based inflation rate stood at 0.30 per cent in March, against contraction in the previous five months. Devendra Pant, chief economist at India Ratings, said the benign effect would be first seen in WPI inflation and then in CPI inflation with a lag. M Rajeevan, secretary at the Ministry of Earth Sciences, said: “We expect some effect of El Niño in June. But, it will reduce from July”. In the first bi-monthly monetary policy for 2019-20, Reserve Bank of India Governor Shaktikanta Das said beyond the near term, the monetary policy committee assessed that the short-term outlook for food and fuel inflation remained benign. He added, however, there was some uncertainty around the prospects for the monsoon, and seasonal reversals in the prices of some items. The IMD said it would issue the second-stage monsoon forecast in the first week of June.